Catherine Johnson has been in the customer service industry for 16 Plus years. Starting out as a young woman working in the emergency bet field and moving into the wrecker industry to work closely by her husband Mikel. She has worked closely with National Motor Clubs, Car Sales Dealerships, Police and Auction companies to set up and service their accounts. Catherine does all the account receivables and payable's for T-Wrecks LLC, She has been through various training classes to make sure we provide the best care for our customers and Community. The most recent being The Polished Professional hosted by the Poteau Chamber of Commerce. Mikel Johnson has been in the towing industry all his life. At age 16 he started working in the repossession industry. At age 20 he went to work for Texas Towing in Fort Worth Tx, were he learned everything about the industry. Mikel became an expert at car carrier trucks, self loading wheel lift, medium duty under reach, heavy duty towing, 75 ton rotater wreckers and heavy haul equipment. He went into management in 2003, learning how to dispatch on a large scale of over 27 pieces of equipment and operators. Through out his career Mikel has trained 100's of operators and several dispatchers as well as owners. Mikel also worked closely with Miller Industries Inc, the largest wrecker manufacturer in the world. As an outside sales contractor for the Miller brand he was able to sharpen his knowledge of how wreckers are made and what they are designed to do as each wrecker is not the same. 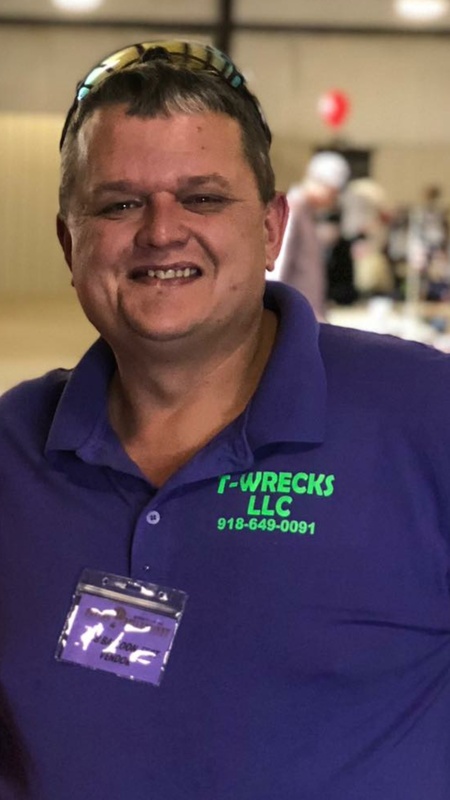 In September of 2018 with the help of James Bennett Jr. of Beards Towing, Ft. Worth Texas's largest wrecker service, Mikel and Catherine started their second successful wrecker business here in Poteau Oklahoma, T-Wrecks LLC. Mikel still has contacts in the wrecker industry across the U.S. so no matter if you need help here or abroad chances are he can get you taken care of or point you in the right direction.